"The Lord has made three marvels: things out of nothing-ness; free will; and the Man who is God [Descartes, Rene, Private Thoughts, DPW, P.4]." Note: DPW means Descartes' Philosophical Writings, Elizabeth Anscombe and Peter T. Geach, Bobbs-Merrill Educational Publishing, 1980. There are numerous commentaries and books that deal with Descartes' philosophy. Mostly they are either about his specific theorems and arguments or about his relationship to philosophical schools preceding or succeeding him. Descartes' Discourse on Method and his Rules for the Direction of the Mind are usually studied for his elaborations on analytic logic. His Meditations of First Philosophy is considered noteworthy with respect to his arguments for God's existence, his refutation of empiricism, mind-body dualism, and finally, the "cogito ergo sum" conclusion. Descartes' Passions of the Soul and other philosophical -scientific essays are studied for his posiitive theorems in natural philosophy and philosophy of person. One aspect of Descartes' writing has gone rather unnoticed by most philosophers; that is, his message for the ones who seem the farthest away from philosophizing -- the ordinary people who are layman rather than clergy, i.e. the laity. Many commentators have certainly noticed the lack of scholarly excerpts or quotations from past philosophers' works in Descartes' major writings and his style which resembles the private thoughts of a layman. However, this reality has misled some great philosophers like Bertrand Russel1to think of Descartes as not being industrious [Russell, Bertrand, A History of Western Philosophy, Simon & Schuster, 1945, p.560], and Copleston to remark that "Descartes, indeed, attached little value to historical learning or to book learning in general [Copleston, Frederick, A History of Philosophy, Vol. IV, p.68]," and others have just mentioned this reality and added that probably Descartes only had a book from St. Thomas Aquinas available during his meditations. Whether the allegations are true or false is not the subject of this paper. However, if true, I would like to point out that these allegations actually accentuate that Descartes was successful in his work to furnish the best proof of Descartes' arguments that someone without book-learning can generate ideas worthy of discussion by generations of philosophers. "Aristotle's most passionate disciples of today...are not satisfied with an understanding of what is intelligibly explained by their author, but wish, besides that, to find in him the solution of problems about which he says nothing and perhaps never thought [Descartes, Rene, Discourse on Method, DPW, p. 51]." In other words, from the view of this founder of modern scientific thought, meditation, i.e. wakeful and thoughtful attention to reality, more than any other approach, gets us closer to reality, and Descartes' main objection to the Scholastic Philosophy, seldom noted by the critics, is the Scholastics' lack of such wakeful reflection [*Please see the footnote at the bottom, for explanation of what I mean by *wakeful reflection*]. "Good sense is the most fairly distributed thing in the world,...the power of judging well and distinguishing truth from falsehood, which is what we properly mean by good sense or reason is naturally equal in all men; and furthermore, that the diversity of our opinions does not arise because some men are more rational than others, but only because we direct our thoughts along different ways, and do not consider the same things. For it is not enough to have a sound mind; the main thing is to apply it well [Ibid., p.7]." "...If they can make more progress than I, they will a fortiori be able to find out for themselves all that I think I have found out [Ibid., p.52]..[or]...better minds have no cause to know my views...[Ibid., p.51]"
He has the same approach even to the most important tenet of Cartesian philosophy, i.e. cogito principle (I think, therefore I am), which in my opinion is similar to this Buddhist thought, that when we ask "who am I" and find out that "me" has meaning, when we think of *ourselves*, otherwise, the person *himself/herself* is a collection of feelings, movements, etc., which are the reality and not anything by the name called "I"! Let's return to the discussion of Descartes. In his correspondence when he is reminded by someone that his 'cogito ergo sum' has been used by St. Augustine centuries before him, he mentions looking up the passage in the town library and explains the difference between his usage of the principle and that of St. Augustine. However, he continues that "it could come from anybody's pen" because he thinks it is so simple and natural [Descartes, Rene, Letters, DPW, p. 263]. Thus, there is nothing esoteric about it and anyone could arrive at it. "It thus seemed to me that since book-learning, at least insofar as its reasons are only probable, not demonstrative, has been made up, and has developed gradually, from the opinions of many different men, it is therefore not as close to the truth as the simple reasonings that a man of good sense may perform as regards things that come up [Descartes, Rene, Discourse on Method, DPW, p.16]." "I am persuaded that there are certain basic roots of truth implanted in the human mind by nature, which we extinguish in ourselves daily by reading and hearing many and varied errors [Descartes, Rene, Rule for the Direction of the Mind, L.J. Lafleur Translation, p.160]." Therefore, to arrive at first principles for our study of the world, we do not need any authority and instead of referring to books, he wants us to think independently. He explicitly claims that first principles are arrived at by intuition (though based on appropriate method) and in this way he opens the road to contemplation on a variety of intellectual subjects by any layman. He describes his thought as follows: "The first principles themselves are known only by intuition; while, on the other hand, ultimate conclusions are known only by deduction [Ibid., p.155]." Thus, there is no barrier to laymen to reach the truth of things and "ordinary logic is completely useless to those who seek to investigate the truth of things. It follows, therefore, that formal logic should be transferred from philosophy to rhetoric [Ibid., p.184]." Moreover, to reach ultimate conclusions, one should pursue science rather than formal logic to verify his deductions. Of course, here *formal logic* means the Aristotelian logic of his time, and not the Symbolic Logic which is also called formal logic today, and was created decades later by Leibniz and others. It is important to emphasize that Descartes' recommendation of independent thought and contempt for book-learning is not synonymous with discarding knowledge and admiring ignorance, which unfortunately is what many existentialists attribute to him. On the contrary, his endeavors are to make hundreds of philosophers, rather than a handful of sages, by recognizing the equality of good sense among human beings. I will further elaborated on this point in the next section. "Nowhere is it more apparent how defective are the sciences we received from the ancients than in what they have written about the Passions...This is why I shall be obliged to write here as though I were treating a matter which no one before me had ever described [Descartes, Rene, Passions of the Soul, Stephen Voss Translation, p.1]." He continues and explains his subject using scientific theories and experiments of his time and does not even mention the ideas of past philosophers related to the subject in order to reject them. "...One may reach a practical philosophy in the place of the speculative philosophy taught by the Schoolmen; one which would show us the energy and action of fire, air, and stars, the heavens, and all other bodies in our environment...I designed to spend all my life in seeking after a science so much required; and since I had found a road by which I thought one must infallibly discover it, if not prevented by the shortness of life or the lack of experiments, I judged that there was no better remedy against these two obstacles than to communicate faithfully what small discoveries I had made...much more progress would be made by all together than anyone could make by himself [Ibid., p.46-7]." Thus, it is evident that Descartes' criticism of the medieval philosophy, is concurrent with his praise of independent thought, and his avoidance of spending time to elaborate on their conjectures, is because he prefers every thoughtful individual to use his/her abilities for new experiments and discoveries, rather than repeating and arguing old controversies. In Descartes' times, the most important barrier preventing ordinary people from thinking, was a superstition enforced by the Church:, that unless a person has well-learned every page of medieval philosophies, he cannot contemplate on philosophical questions. Thus, people needed to learn to doubt those spiritual pillars of ignorance, before erecting a new philosophical thinking. This is what Descartes primarily achieves in his Meditations of First Philosophy. "Not that I imitated the sceptics, who doubt just for the sake of doubting and affect to be always undecided; on the contrary, my whole aim was to reach certainty, and cast aside loose earth and sand so as to reach rock or clay [Ibid., p.28]." Thus, his type of doubting could be more popular than a sceptical approach which could be attractive for a few intellectuals. He is careful to mention his rules of conduct prior to mediations. All guidelines are necessary for the layman in such a philosophical pursuit in order to avoid going astray in everyday life. After presuming these preliminary conditions in Discourse on Method, he demonstrates his intended move in Meditations. In his Meditations of First Philosophy, he first doubts about the senses. But his important move is doubting God in the Second Meditation, "Is there a God...? [Descartes, Rene, Meditations on First Philosophy, DPW, p.66]," and even doubting whether God is a deceiver when writing "... I must examine whether there is a God, and if so, whether he can be a deceiver [Ibid., p.78]." In the society that Descartes lived in, it was the greatest sin to doubt God's existence, let alone to think of him as a deceiver. Francis Bacon, the father of Empiricism and Descartes' contemporary, simplified matters for himself by saying that philosophy should depend only upon reason whereas Theology is known by faith and thus avoided confrontation with the Church. Descartes, on the other hand, aims exactly at the most forbidden doubt in his society, which lays bare independent thought for the public. Many critics refer to Descartes' pious conclusions of faith and his practical endeavors to reconcile Church and science, as evidence for his insincerity in this move. Whether the critics are right or wrong, it is obvious that regardless of his own conclusions (mostly conservative), Descartes' approach in doubting and even perceiving God as a deceiver, threatened religious beliefs. This approach once accepted by the public could give rise to heresy, irrespective of how convincing the counter-arguments might be. This is exactly the implicit embryo of the Cartesian Revolution, although it was initiated by a probable conservative, i.e. 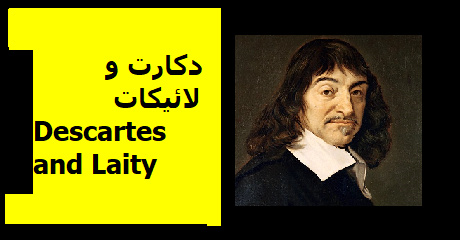 Descartes himself! Daring to doubt the established beliefs, was as necessary to encourage independent thought, as was the recognition of equality of reason. Finally, Descartes was careful to specify a proviso for our philosophizing, in order to avoid disappointments in independent thinking. This was important for laymen, doing this traditionally complicated task (i.e. philosophy), so that disappointments would not halt the growth of the new upheaval. "My third maxim was to try always to conquer my self rather than fortune; to change my desires rather than the order of the world; and in general to form the habit of thinking that only our thoughts are completely within our own power...[Descartes, Rene, Discourse on Method, DPW, p. 26]." "As for things which in no way depend on us, no matter how good they may be, one should never desire them with Passion, not only because they may fail to come about and thereby afflict us all the more for having wished more for them, but mainly because in occupying our thought, they divert us from casting our affection upon other things, whose acquisition does depend on us [Descartes, Rene, Passions of the Soul, Stephen Voss Translation, p.140]." Thus, it is evident that Descartes is suggesting the least disappointing way to search for truth. Always confining oneself to what depends on an individual and not trying to change the world. At first glance, this Cartesian maxim seems very conservative. However, this maxim was essential to make the Cartesian Revolution a popular upheaval. It inspired individuals to think of what they *themselves* could do, which would effect what *all individuals* could accomplish. Instead of sacrificing oneself for the "good" of the established order, *individuals* seeking what was feasible, in the domain of their own abilities, in every sphere of life, did actually "change the world" (European society), without anyone particularly aiming at changing it. This became the maxim of European thought in the centuries to come. That is, independent thought became one of the pillars of Western civilization and, especially at the time of the French Revolution, it was not difficult to recognize the feeling of those people, who thought of themselves the way Descartes had described humans in his Private Thoughts, when he wrote "The Lord has made three marvels: things out of nothing-ness; free will; and the Man who is God [Descartes, Rene, Private Thoughts, DPW, P.4]."